Learn more about our global and local research projects. South Africa is home to the largest number of HIV-infected individuals in the world. Although SA has one of the largest global antiretroviral therapy (ART) programs, a barrier to achieving successful HIV treatment and prevention outcomes is untreated substance use disorder (SUD). Integrating evidence-based interventions to address both HIV treatment adherence and SUDs in HIV care has potential to improve HIV treatment and prevention in SA. This study is a five-year implementation science trial funded by the National Institute of Drug Abuse to adapt and implement a brief, paraprofessional-delivered integrated intervention for SUD and HIV treatment adherence in Cape Town, South Africa. We are evaluating whether an adapted intervention, delivered by paraprofessionals in this setting, is feasible and acceptable and can reduce SUD symptoms, improve HIV treatment adherence, and reduce HIV viral load. Location: Cape Town, South Africa; Funding: NIDA (K23DA041901; 2016-2021; PI: Magidson). Partnering with University of Cape Town (UCT). Opportunities for staff and graduate students to be involved in study coordination, secondary data analysis, and future grant submissions. The START Together project is a Canadian Institutes of Health Research (CIHR) funded study that aims to develop and evaluate a couple-based intervention targeting antiretroviral therapy (ART) medication adherence for HIV-infected women and their male partners living in KwaZulu-Natal, South Africa. This intervention has the potential to simultaneously improve HIV-infected women’s adherence to life-saving ART as well as engage men into HIV-related care, both of which are major barriers to meeting global goals of eradicating new HIV infections. This two-year study will use a mixed methods research design to develop and test the START Together Program. Qualitative interviews will first be conducted with women and men from the target population to develop and refine the intervention (ensuring it is culturally appropriate) before pilot-testing it with a small number of South African couples to evaluate its efficacy. 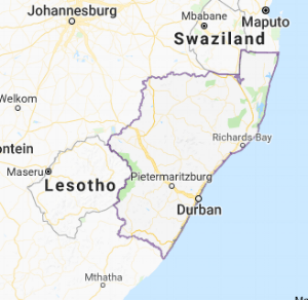 Location: KwaZulu-Natal, South Africa; Funding: CIHR Postdoctoral Fellowship (Dates: September 1, 2018- 2020; PI: Belus; Mentors: Drs. Ruanne Barnabas (UW), Heidi van Rooyen (HSRC) and Jessica Magidson (UMD)). Partnering institutions and colleagues at the Human Sciences Research Council (HSRC) in South Africa and the University of Washington in the US. Opportunities for involvement in study coordination, data analysis (qualitative and quantitative), and future grant submissions. This is an implementation science study in collaboration with UMB Nursing and Michigan State University to evaluate the use of peer recovery coaches to address substance use in a community health center in Baltimore. This project aims to adapt behavioral activation for use by peer recovery coach advocates and to pilot the modified approach and training procedures at Paul’s Place, a community health center in Baltimore, MD. This project aims to evaluate the clinical and cost effectiveness of integrating recovery coaches into primary care for outpatient management of substance use disorders. Location: Boston, MA; Funding: Partners Healthcare Population Health Management Delivery System Innovation Pilot Grant; 2016-2017. Partnering with the Massachusetts General Hospital (MGH) Substance Use Disorder Initiative (PIs: Wakeman, Magidson). Opportunities for staff and graduate students to be involved in secondary data analysis, and future grant submissions. Collaborations at Salvation Army Harbor Light could allow for opportunities for staff and graduate students to be involved in clinical interviewing, primary data collection, secondary data analysis, and future pilot projects and grant submissions. This systematic review aims to examine the evidence on characteristics, feasibility, acceptability, and effectiveness of peer-delivered recovery support services for individuals living with problematic substance use in low- and middle- income countries (LMICs). This review will be conducted and reported according to PRISMA guidelines and will include a search of the published literature across PubMed, PsycINFO, Embase, Global Health, and Global Index Medicus. Studies will be double-screened for eligibility criteria; key data will be extracted from included studies and quality assessment measures will be used to describe methodological limitations. Data will be analyzed and reported using narrative synthesis.